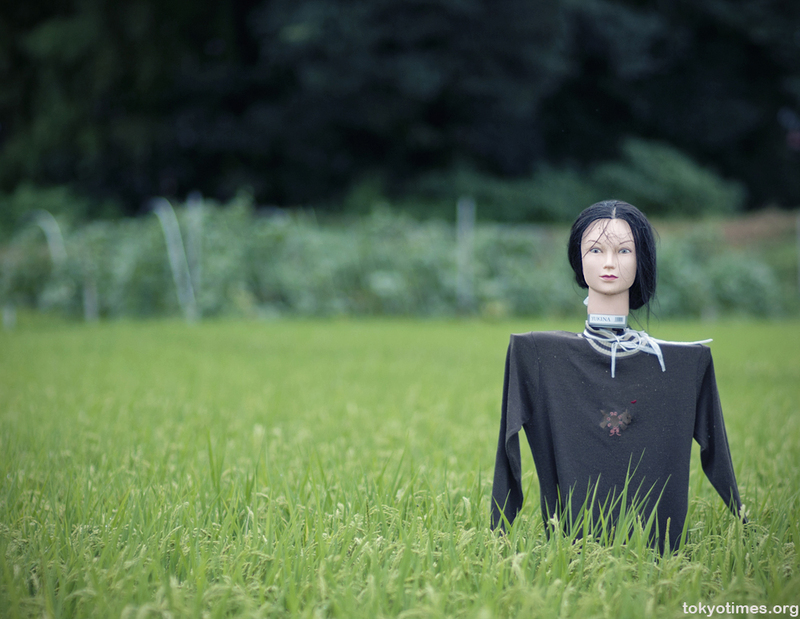 With fashion and particularly appearance being very important in Japan, it’s perhaps not surprising that the nation’s scarecrows are similarly style conscious. So, for 2011, there are some new characters as well as clothes. Along with a fresh coiffure. And even a little coyness. But, for those that crave continuity, there’s still the unequivocal evil of one of last year’s creations. All have different facial expressions. The scarecrows are getting more creative especially the hairstyles. 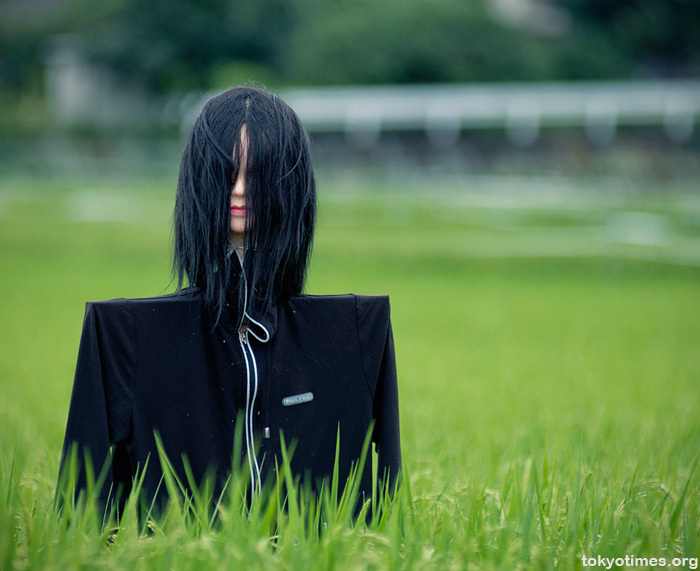 But the 2nd picture remind me of a Japanese horror Movie (kakashi aka Scarecrow) which aired 10 year ago. They just keep getting better – and scarier. 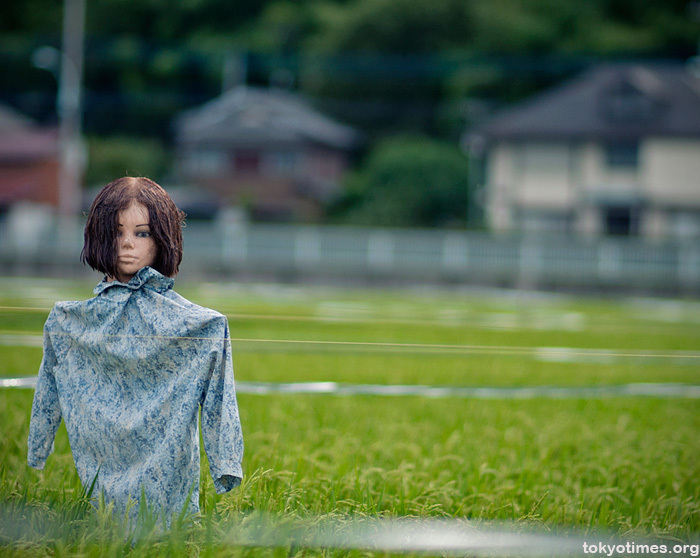 Some of these already haunt my dreams, I’m sure. That’s very true, the second one in particular would blend in perfectly! 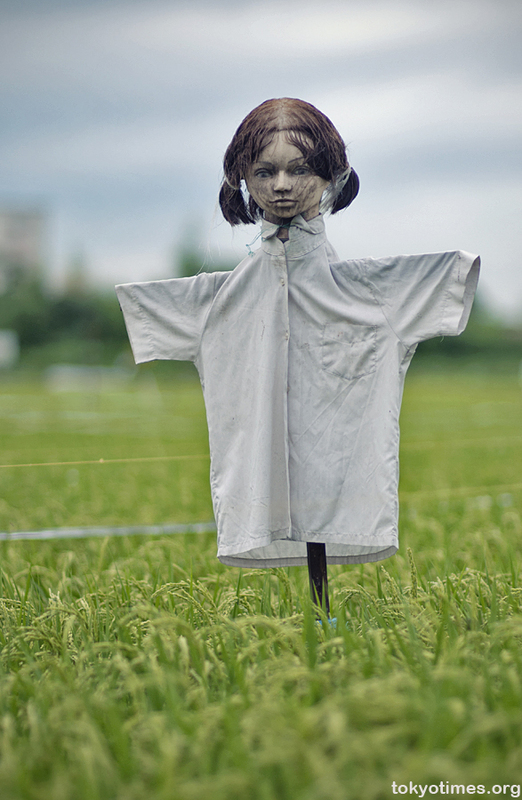 Never knew scarecrows can be that fashionable and creepy even for me.